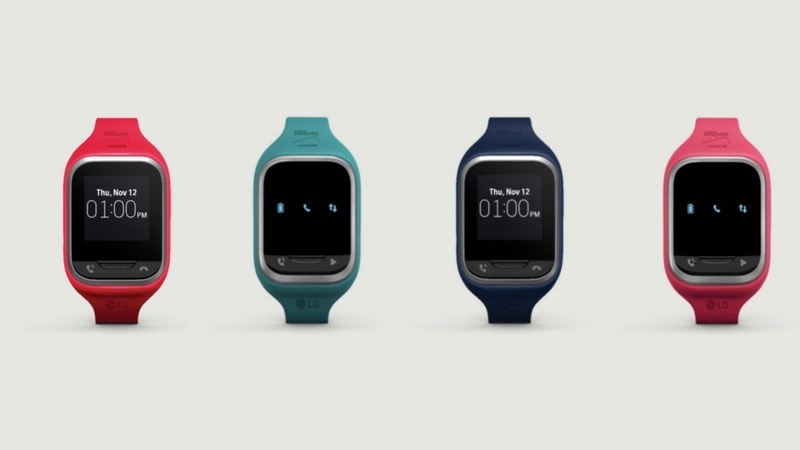 LG and Verizon have announced the launch of two wearables that are specifically designed for your little tykes. The GizmoPal, which came out a year ago, has received a refresh. Additionally, LG has designed a new wearable - the GizmoGadget (pictured above) - that is more like mum and dad's smartwatch; with a touch screen, two-way calling, and more. The updated version of the GizmoPal still does not have a screen, but it does features LED lights to make it easier for a little one to notice an incoming call while hanging on the Monkey Bars. The GPS boundary tracker also has a waterproof and dustproof rating that allows it to be dunked into a muddy pond up to one meter deep without causing damage (how clean you can get it is a different story). It also features a voice recorder that plays back what is said in funny voices. We wish our smartwatches had that feature. It comes in pink and light blue, and like it's predecessor, will feature "stickers" that kids can use to liven up their look. The bigger news comes in the form of the GizmoGadget, which is LG's version of a kid's smartwatch. It features a 1.3-inch touch screen display with the ability to changet the watch face themes. Wearers can send pre-recorded messages and emojis, and it has instant two-way calling (walkie-talkie style) for up to 10 contacts. It also has a pedometer and jump rope counter so kids can prove how good they are on the playground. Like the GizmoPal, the GizmoGadget has a GPS locator with geo-fencing support. So, if your munchkin strays too far from the boundaries that you've designated, you'll get an alert to let you know its time to use that parent voice. You know, the one that stops all children in their tracks, even if they aren't yours. It comes in pink, red, dark blue and light blue and the watchbands will be interchangeable. The GizmoPal 2 is priced at $80 and the GizmoGadget costs $159. Both devices require a $5 monthly access fee via an existing Verizon Wireless plan.